1918-39 CZECHOSLOVAKIA 1918-39 selection of clear stamp. on/for album card A5, contains 7x plate mark III. air mail issue., 2x Prague revolutionary overprint, blue Štefánik, 2x set Scout from that 1x St. blue, complete set Hradčany-issue stamp. with overprint SO1920 (overprint) etc.., higher catalogue! 1920 CZECHOSLOVAKIA 1918-39 issue Pigeon-issue and issue Chainbreaker, chosen stamp. with plate variety, flaw print, retouch and plate mark, single stamp., blocks and strips, mainly used, full stockbook A5. interesting, We recommend it! 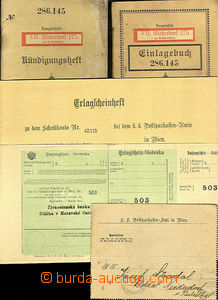 1918-30 1918-30 ČSR I. HRADČANY Large accumulation of mainly used stamps in 32page stockbook Schaubek, catalogized , 1 page with mint stamps, 2 pages with freaks and oddities, types, and some interesting cnl. 2 pages with SO overprint, cca 3000pcs. Very nice! 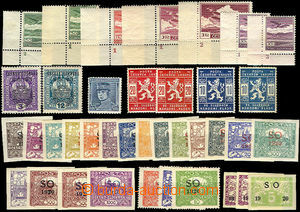 1918-39 1918-39 Czechoslovakia, very much complete colection specialized in Leuchturm included are Pof.6N, 9N, 13 , 26a, 49I, 50Ia, 50II, 66, 116, 117, 123, 139, 140N-142N,L1-L3, L1A, L2A, L2B, L3B, DL24a, SO24, SO25, SO33a 1923-25 Masaryk by Wmk, Sc 119-122 incl. on pergamen paper by Wmkand lot more. Very high catalog value. 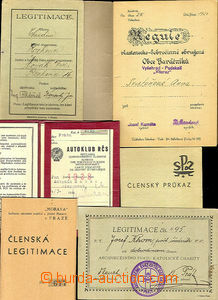 1939-45 BOHEMIA-MORAVIA accumulation Bohemian and Moravian stamp. 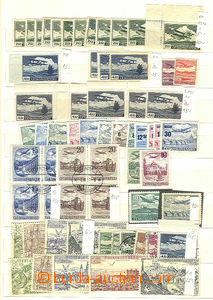 in 2 full stockbooks and 1 box, lot of plate mark mainly small Landscape, blocks of four, coupons, gutter-pair etc.., all in good condition, high catalogue value, We recommend it! 1939-45 B+M nice complete general collection, overprint set with complete used set of cupons all expertised Karásek), no Terezín - only newprint. In hingeles album Trojan.